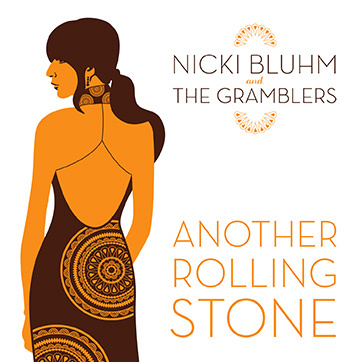 “Another Rolling Stone”, the new summer single from rocking country soul mavericks Nicki Bluhm and the Gramblers, comes barreling out of a mid-1970’s California canyon lost in time, steeped in vintage Linda Ronstadt and gritty, warm, (Rolling) Stonesian rumble. With the summer spread out like a highway in the sun, the song eases into the fast lane with the ghosts of Little Feat’s “Willin’” and Jackson Browne’s “Running on Empty”, mountains and horizon in the blue sky distance. “Another rollin’ stone tossing down a dusty road”, plugged in and running on a full tank.